More on the AVTEQ Executive Series Media Cart for One 20-42 inch Screen RPS-400 below. 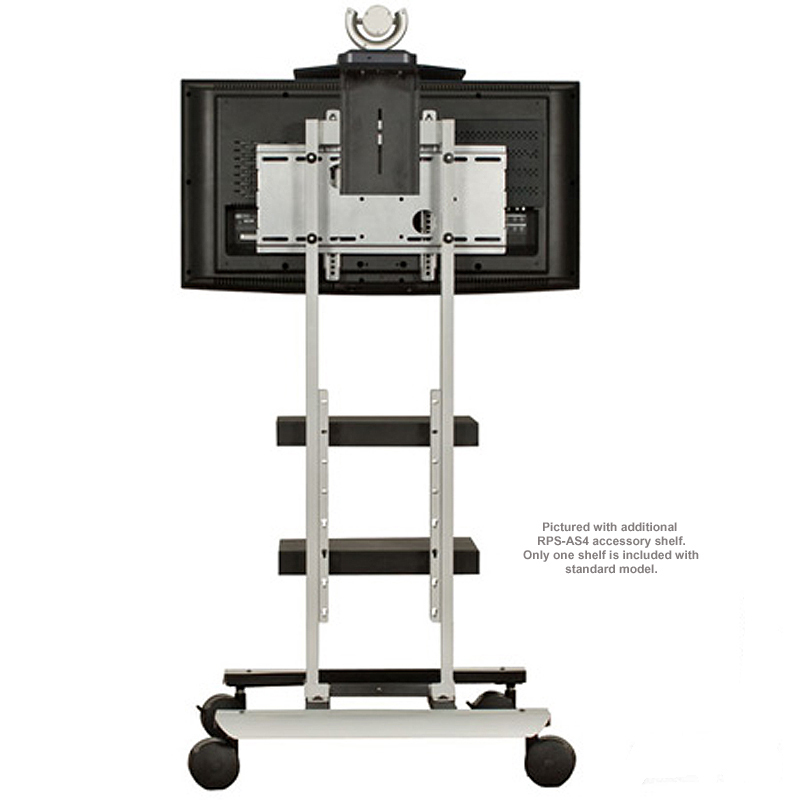 A universal screen mounting system, designed to accommodate almost any modern flat panel screen. One adjustable height accessory shelf. 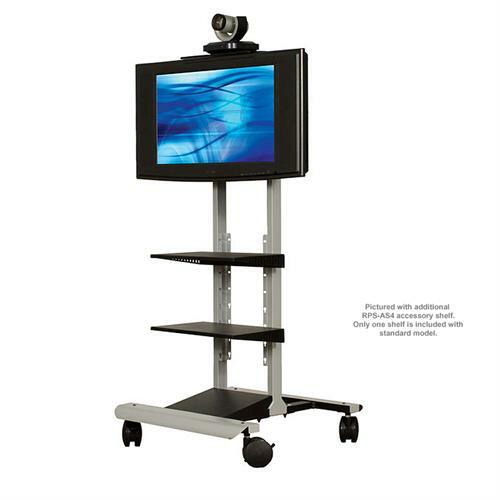 Four 4" dual-track casters (2 with brakes) for easy mobility on hard or carpeted flooring. 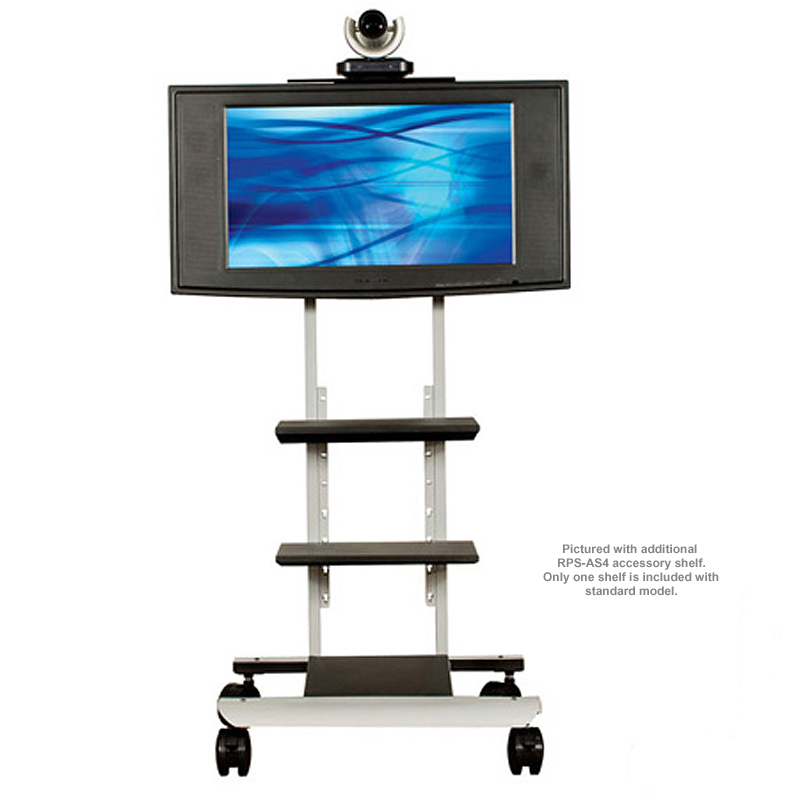 One 20-42" flat panel LCD, DLP, LED or plasma screen. THE PICTURED, SECOND ACCESSORY SHELF IS NOT INCLUDED UNLESS SELECTED AS AN OPTIONAL ADD-ON.